How To Buy The Best Smartwatch - Which? Wear OS by Google, Tizen or watchOS? What features do you need, and how much should you spend? Our guide will help you pick a perfect smartwatch. The best smartwatches from our testing will not only look stylish, but will work in harmony with your phone to deliver texts, emails and social media notifications straight to your wrist. Some will even let you make calls, dictate messages and ask for directions. But we’ve also found smartwatches that just aren’t up to task, and there’s little point in buying a device that’s uncomfortable, lacks functionality or won’t accurately track your activity. There’s plenty of choice when it comes to picking the best smartwatch for you, and that’s where we can help. Which operating system do you need? How long is the battery life? And what are the key features to look for? We’ve tested models from all the big brands, including Apple, Huawei, Garmin and Samsung. Just want to see reviews of great smartwatches? 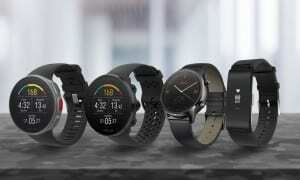 Head over to our Best Buy smartwatches. How much will a good smartwatch cost? Smartwatches cost from around £100 to well over £650. At the very top end of the price range you’ll often be paying for premium materials, designer brands and decorations, such as gold or semi-precious stones, rather than any technological advances. We’ve found that price is by no means an indicator of performance – our cheapest and most expensive Best Buy smartwatches differ in cost by nearly £200. Paying a little more may get you more advanced features, a colour screen, more advanced activity tracking or perhaps a strap and bezel made of stainless steel or aluminium, rather than plastic. One of the most important factors to consider when buying a smartwatch is whether it’s compatible with your smartphone, as you’ll need to pair or connect them to access incoming calls, texts, emails and apps. Not every smartwatch will work with every handset, so make sure you check this before buying. Beyond that, you’ll have a choice of which operating system you’d like your smartwatch to run on and the features you need – for example, do you want a touchscreen or heart-rate monitor? Wear OS, Tizen or watchOS? The type of smartphone you own will tend to dictate the operating system you should opt for. The Apple Watch Series on watchOS, for example, can only be used with an iPhone, while Tizen is only compatible with Android phones. Most Wear OS watches will be compatible with both iOS and Android devices, although it’s always worth checking that your particular handset is included. Windows Phone owners currently don’t have much choice, and may lose some functionality – although the Microsoft Band 2 that blends the features of a smartwatch and a fitness tracker is fully compatible with Windows. 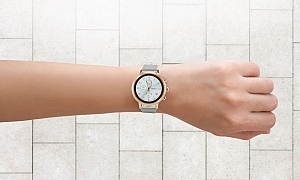 Built to work with Android devices but with iPhone compatibility, too, Wear OS is another touch-driven interface designed to direct messages, calls and diary appointments to the device on your wrist. Previously known as Android Wear 2.0, Wear OS has a host of features including the ability to customise watch faces to retrieve the most important information from your favourite apps, control over notifications and compatibility with Apple iPhones. It can give you greater freedom from your smartphone as standalone apps will work with any Bluetooth or wi-fi connection, even without your phone nearby. Pros: The interface will be instantly familiar to anyone who has used an Android smartphone, and adopts the Google Cards system to direct updates your way. In this way you’ll be able to scroll through all kinds of updates, from the latest weather forecast to when you’ll need to leave the office to make your next meeting. Cons: It’s compatibility with iPhones is slightly limited, with not all the features available on iPhone as on Android handsets. Though it's a big improvement, it can still be a little glitchy on certain smartwatches in terms of a consistent connection and notifications. Get help choosing with our Wear OS smartwatch reviews. You'll find Tizen on only a small number of devices - notably the Samsung Gear S3 and Sport smartwatches. It's an open-source operating system, based on Linux. It was initially only compatible with Samsung smartphones, but it can now be used with a range of Android handsets and the iPhone 5 and newer. Pros: It's possible to customise the background, text size and font of a Tizen watch. It has more apps than it used to, and in 2017 added Spotify, Uber and Nest. Cons: There aren't many smartwatches running it, so app development is often a little slow. The choice of apps is smaller than with Wear OS and watchOS smartwatches. Read all of our in-depth Samsung smartwatch reviews. Designed to work exclusively with iPhones, Apple’s WatchOS offers a touch-based interface that lets you scroll through your contacts, dictate texts and build your own fitness regime. In September 2017, Apple released the next version of the OS – Apple watchOS 4. Improvements included more in-depth heart-rate tracking and analysis, plus a redesigned workout app. Pros: It’s relatively simple to use and works well with the iPhone – delivering all the notifications you’d expect and allowing you to customise the look and feel of the interface through apps. Cons: It’s exclusive to Apple Watches and available only on expensive devices. Prices start from £269 for an Apple Watch Sport Series 1. 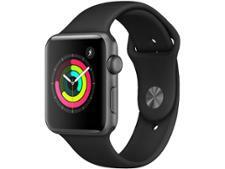 Browse our Apple Watch reviews. Touchscreen - Most smartwatches have a touchscreen, so you swipe through menus and open apps just as you would on your mobile phone. However, some use side buttons or rotating bezels to navigate around. The difference in interface won’t affect a smartwatch’s performance, but it will have impact on how easy it is to use – for example, any apps requiring you to input text or numbers might be slightly less cumbersome on a touchscreen device. 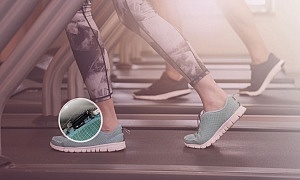 Fitness features - Certain smartwatches have just as many exercise-logging features as fitness trackers, and some are particularly advanced. The Apple Watch Series 2 and Samsung Gear S3, for example, have heart-rate monitors, built-in GPS so you can track your running route without taking your phone, and are waterproof so well suited to swimmers. If you’re looking for a smartwatch that will help you keep an eye on your heartbeat, head over to our reviews of smartwatches with heart-rate monitors. If you want a more advanced device for fitness or exercise logging, check out our fitness watch and activity tracker reviews. At Which? we run all smartwatches through a section of our fitness tracker test to see just how well implemented any exercise logging capabilities really are. To find out more about how we test smartwatches, head to our how we test smartwatches guide. Battery life - Most smartwatches use a rechargeable battery, but how long it lasts varies significantly between models. What features a smartwatch has will also have an impact on battery life – models with a large screen, heart-rate monitor or advanced sensors, for example, are likely to run out of juice quite quickly. 4G connectivity - The latest feature from to hit the smartwatch world is LTE or 4G connectivity. It's only available on the Apple Watch Series 3 LTE at the moment, and means you can make and receive calls, texts and other notifications without your iPhone nearby. 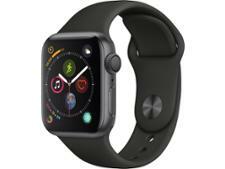 It's not available for everyone as you need to be an EE customer to add mobile data to your Apple Watch Series 3 LTE, and this connectivity will have a large impact on the battery life of the watch.